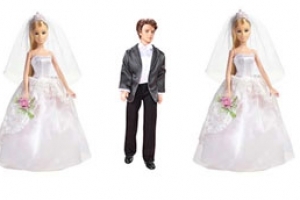 Bigamy is a crime in Italy because Italian Law don't recognize polygamous marriages. Pursuant to Article 556 of Italian Penal Code when the person, who being already married and not divorced, have a new marriage with civil effects, shall be punished with imprisonment from one to five years. The same penalty applies to any person, not being married, that contracts marriage with a person already marriage with civil effects. The penalty is more severe if the offender has misled the person with whom he contracted marriage, about own civil state. If the marriage contracted before by the bigamist has been declared invalid or annulled, the crime is extinguished.